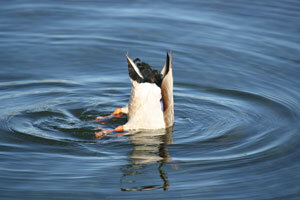 As described in Marc Abrahams' the book The Man Who Tried to Clone Himself, Moeliker was in his office when a duck flew into the glass and plummeted to the ground on to be sexually assaulted by another male duck. Moeliker is from the Netherlands. He not only watched the act for over an hour, he has photo-documentation, and even wrote a report. In his report "The First Case of Homosexual Necrophilia in the Mallard Duck" Moeliker says that he thinks the raped bird was being chased when it crashed and then, as if to show him who’s boss, the chaser mallard dragged the corps to a new location and proceeded with his... victory dance? After dissecting it, he kept the dead duck in his freezer.